Byson was originally set up in West Sussex to provide a contract sample making service to the garment industry in Brighton and Hove. A family relocation and several upheavals led to Byson's location in North Hertfordshire, providing a repair and alteration service for individual customers and buisnesses to the same high professional standards. 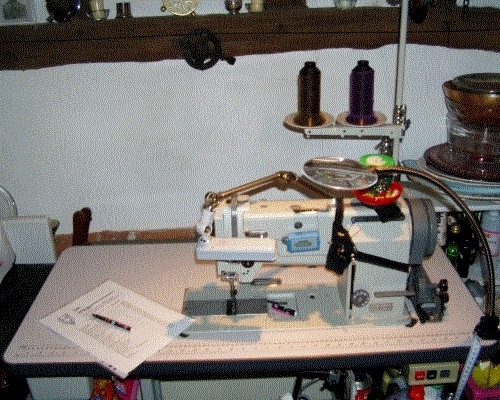 Byson can work on clothing made of any kind of fabric, but if you need information on repairs or alterations to leather clothing (especially motorcycle gear), we have another site HERE where there are also a number of sewing machines for sale. Go to the Byson Leather site and click on the "For Sale" button. Please note that due to the number of scammers out there BYSON do NOT buy advertising by telephone. It is advisable to call to arrance fittings etc.